You know the melanin beauty has got a very hot bod, and never hesitate to flaunt it at any given opportunity. 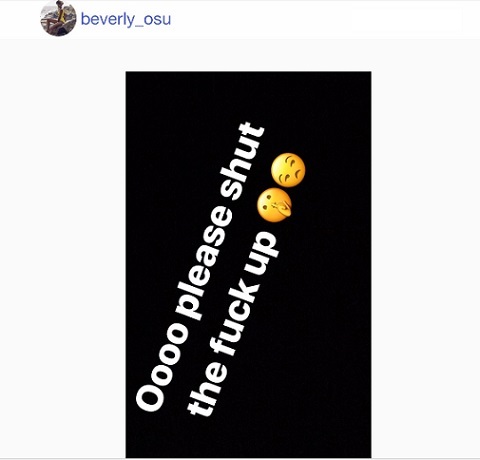 Some people have criticized the pic and Beverly also made sure she replied. Lol. See her response below... Phew! » Between Ex BBA Contestant Beverly Osu & Peks Ikeji..